Mirrors is similarly made up of hundreds of shorter pieces of text, each around a third of a page, telling its individual story but also building a larger picture. Of course, a history of the world that will satisfy everyone, or indeed anyone, is unlikely, no matter how expansive and all-embracing it attempts to be. This is not, however, where Galeano’s ambitions lie. Instead he presents the reader with a particular viewpoint, so much so that the image of a lens seems more appropriate than a mirror. 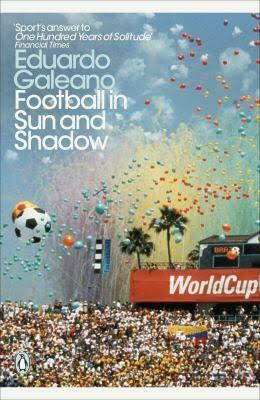 But in Galeano’s view history frequently reflects itself, generally as a battle between freedom and tyranny. His heroes are those who resist; his villains are rulers, colonisers, and religions. Strictly speaking, this is literature not history: Galeano uses the techniques of fiction (juxtaposition, irony, symbolism) in order to convey a truth about the world we live in. His early sources are mythical rather than historical, with stories from Africa (Exu), South America (Quetzacoatl), the Middle East (Gilgamesh), Polynesia (Maui), Egypt (Thoth, Osiris), India (Ganesha) and Northern Europe (Odin). These stories are presented neither with belief nor disbelief; similarly, not one of them is characterised as superior to the others. Galeano has established within the first few pages that his book will range across the continents and not seek to rank them. His political views are also clarified in his titles for these myths, such as ‘Origin of Social Classes’ and ‘Serfs and Lords’. Galeano also themes sections of the book, so, for example, we find a series of stories on war or writing or the Devil (the titles alone here make a point: ‘The Devil is Muslim’; ‘The Devil is Jewish’; ‘The Devil is Black’; ‘The Devil is Female’…). Others are brief biographies, though even those of figures from the arts focus on the political. Beethoven “had a prisonlike childhood and he believed in freedom as a religion”. Goya was court painter for Ferdinand VII, but “artist and king detested each other”. This determination to remain faithful to his vision, however, is a strength rather than a weakness, particularly as it is a view of the world that we so rarely get to see in our own media. This strikes me as a book to be gifted to the young, not as the history of the world but as a history, and one that should not be ignored. If it is a mirror, it is a broken one, where every piece reflects the same truth in a myriad different ways. You are currently browsing the archives for the Eduardo Galeano category.